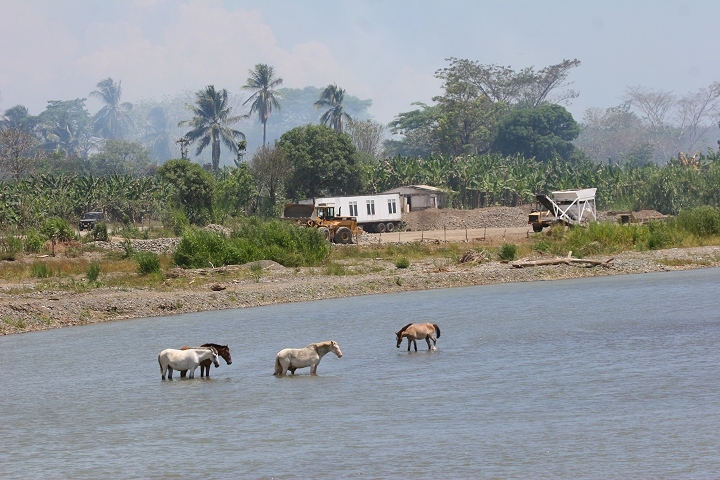 Costa Rica - Page 4. Last updated: 3/29/2007. 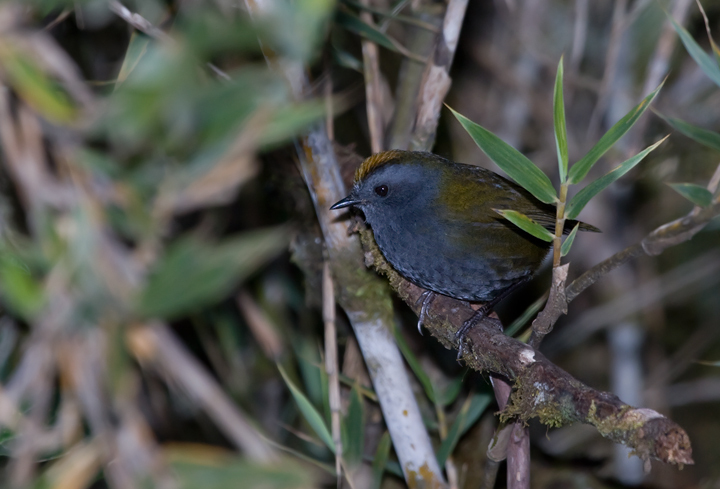 Above and below: The secretive Zeledonia, or Wrenthrush, was until recently placed in its own family, Zeledoniidae. 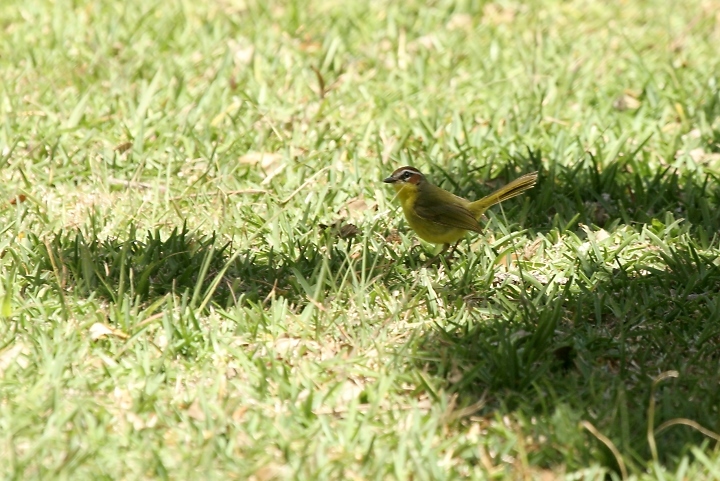 Recent studies place it not with wrens or thrushes, but with New World warblers in the family Parulidae. Whatever it is, it's fascinating and very elusive. 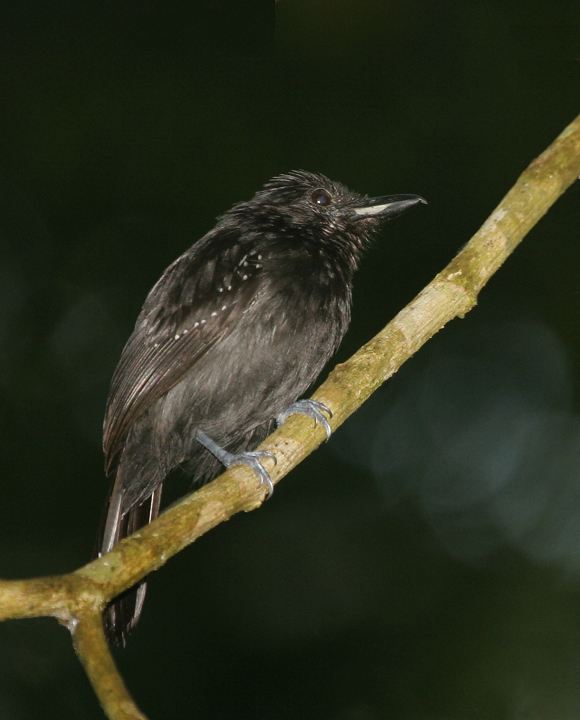 We detected it by its high-pitched call from a bamboo thicket above 10,000' on Cerro de la Muerte. 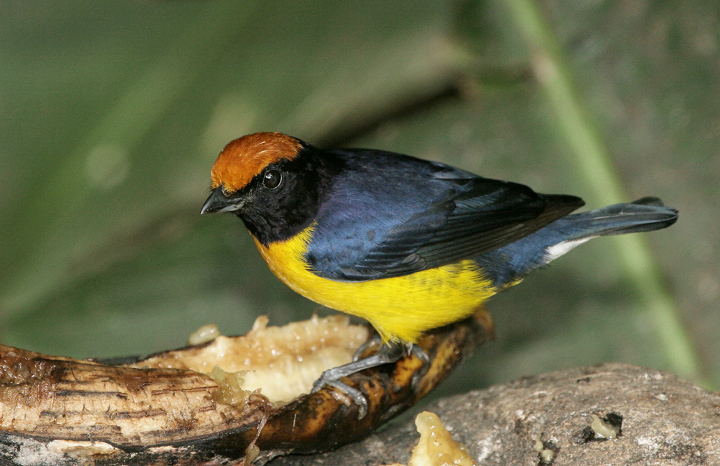 Below: Another beauty lured to the bananas near the La Paz waterfalls, a Tawny-capped Euphonia. 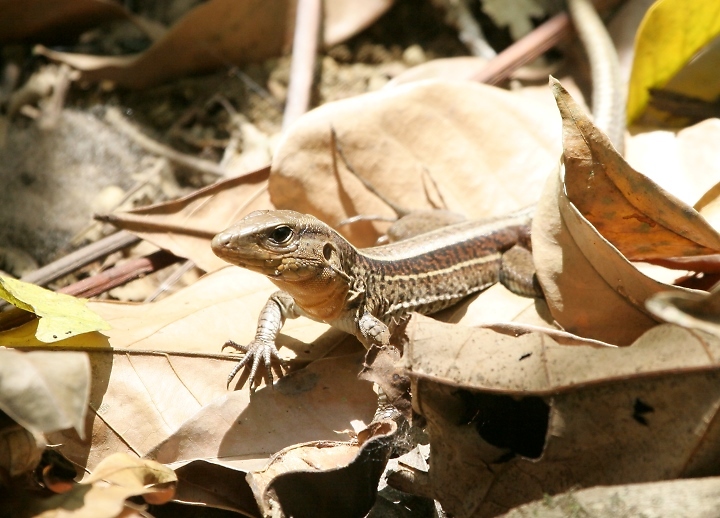 Below: A large and interesting lizard (not yet identified) on the Osa Peninsula. 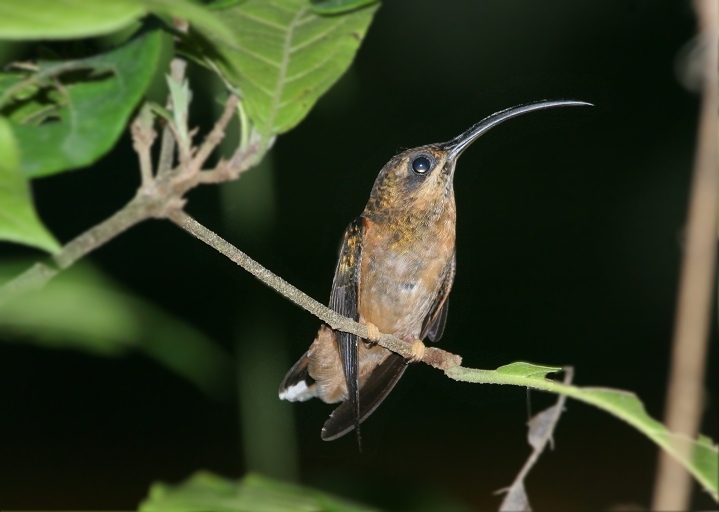 Below: A Stripe-throated Hermit (formerly Little Hermit) feeding near our afternoon cerveza stop on the Osa. 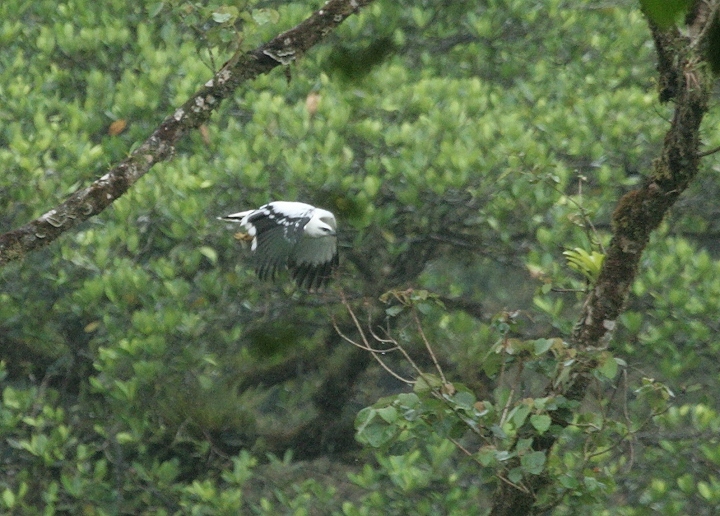 It's long tail feathers aren't visible in this image as the bird was constantly pumping its tail. 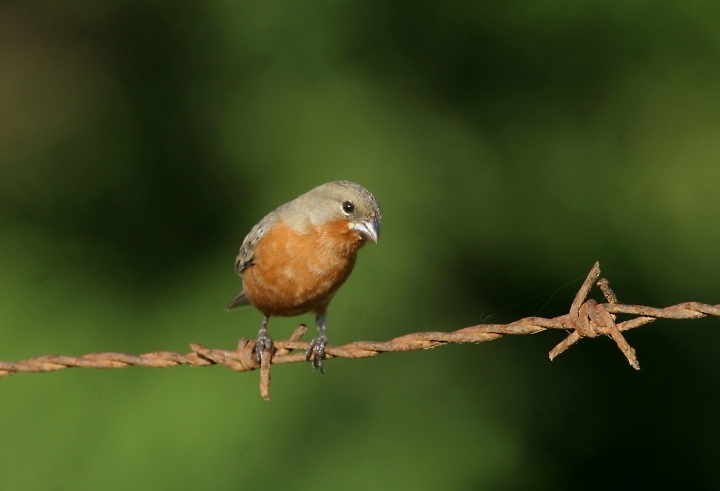 Below: Several species of seedeater joined this lovely Ruddy-breasted Seedeater along a fenceline on the Osa. 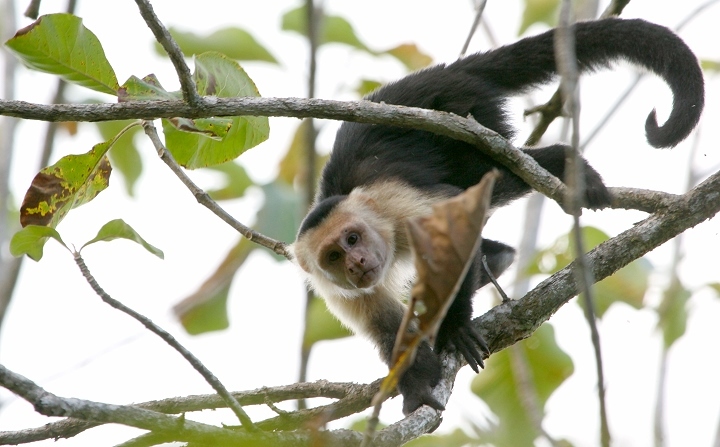 Below: A member of a roaming troop of White-faced Capuchins on the Osa Peninsula. 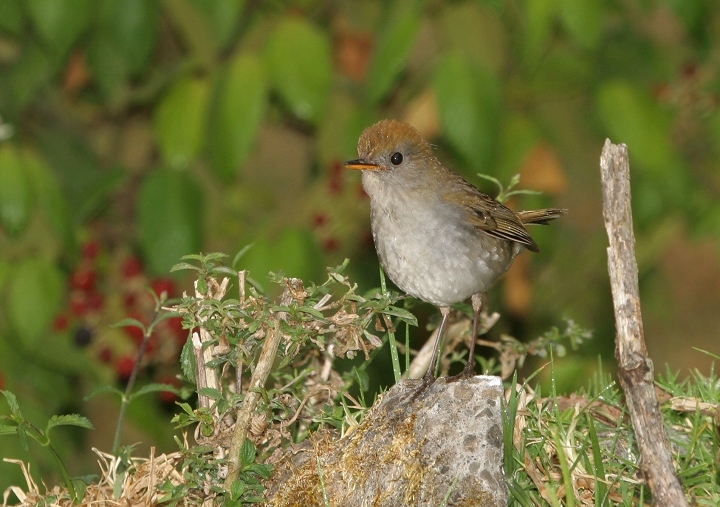 Below: A Ruddy-capped Nightingale-Thrush poses in the foothills near Cerro de la Muerte. 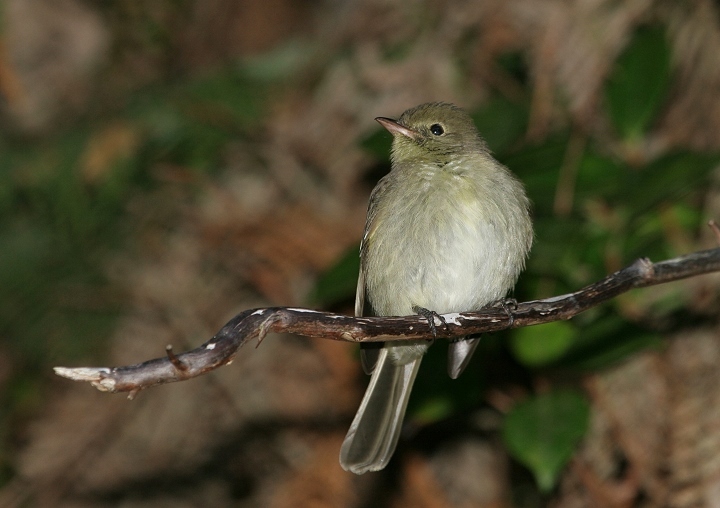 Below: Yellowish Flycatchers were one of the more widespread flycatchers we encountered in our travels. 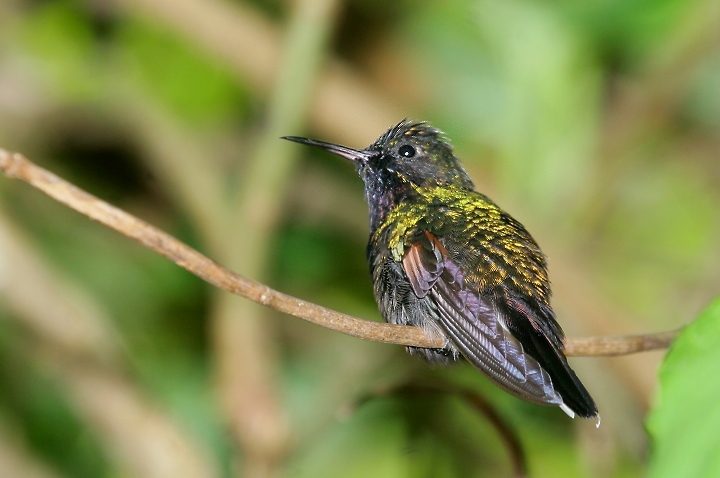 Below: This attractive Black-bellied Hummingbird was a highlight at the feeders at La Paz. 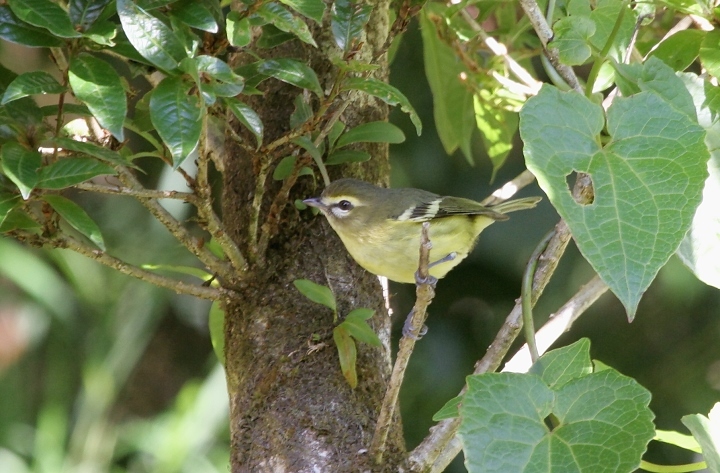 Below: A Yellow-winged Vireo in the foothills near Cerro de la Muerte. 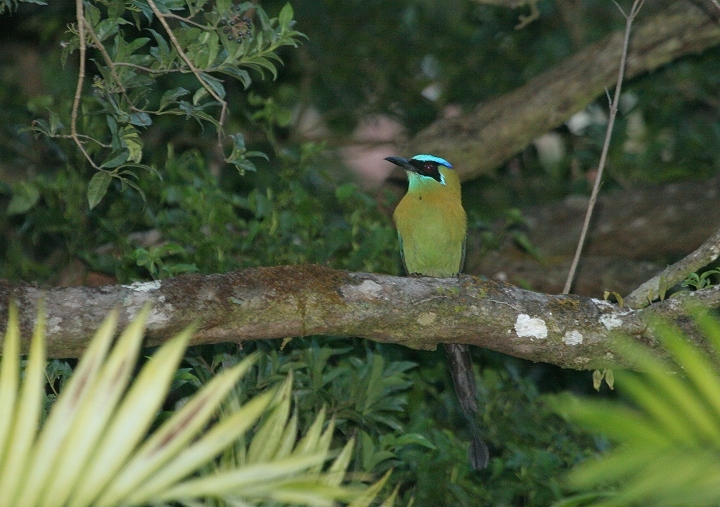 Below: A distant shot of a Blue-crowned Motmot near Monteverde. 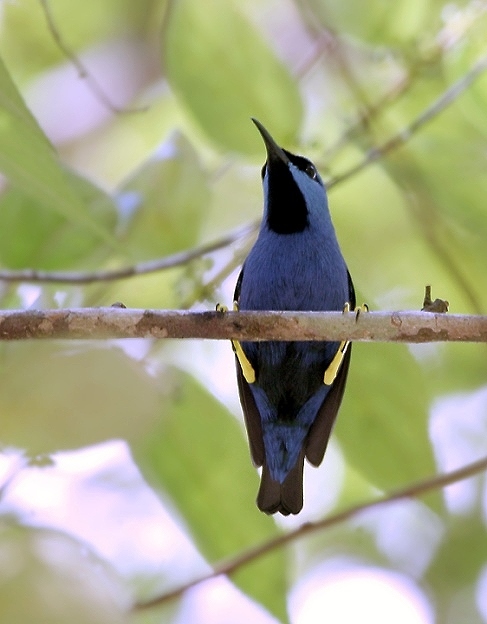 Below: A Shining Honeycreeper on the Osa Peninsula. 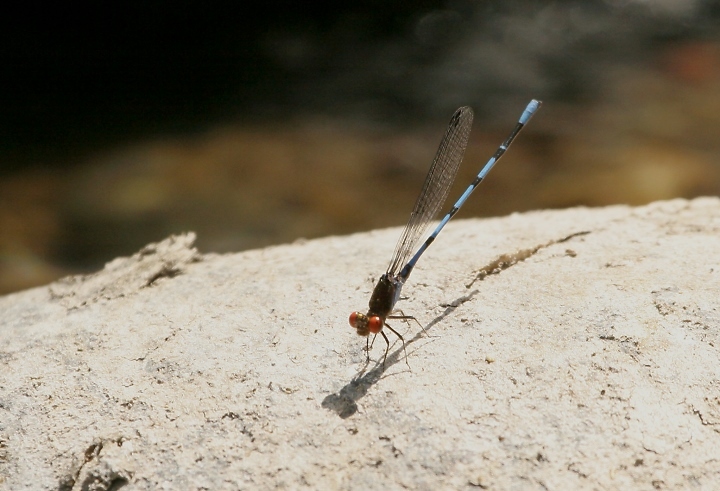 Below: A stunning damselfly along the Rio Lagarto, the Coppery Dancer. 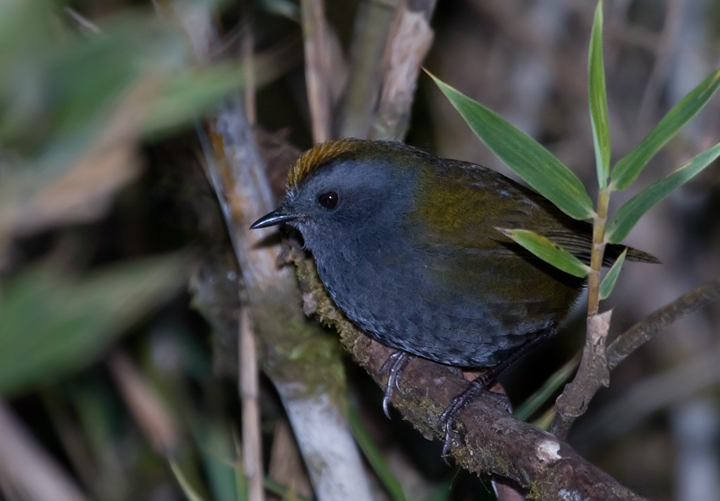 Below: Silver-throated Tanagers were fairly widespread, but by far our best studies were near the La Paz waterfalls. 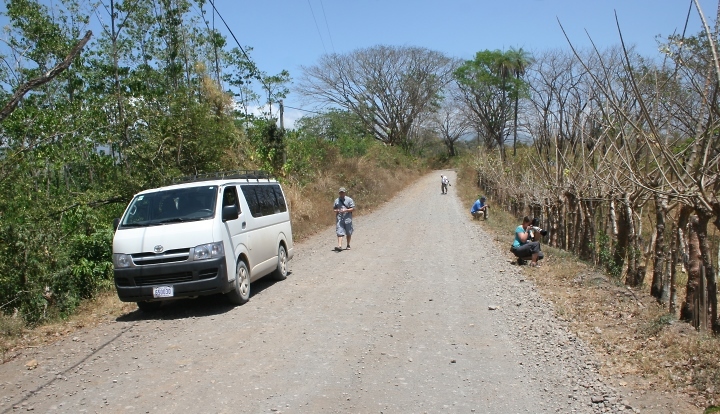 Below: A quick shot of our group checking out lizards and butterflies near Monteverde. Orange-chinned Parakeets were flying over, while a White-lored Gnatcatcher buzzed from a nearby tree. 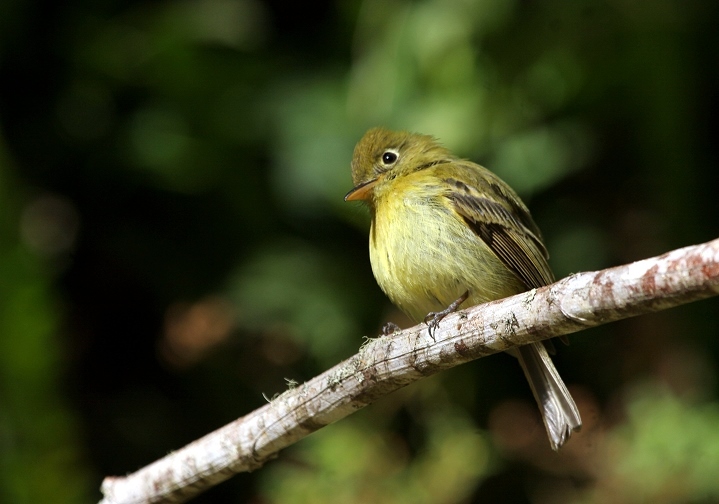 Below: The Chestnut-capped Warbler was recently split from Rufous-capped Warbler. 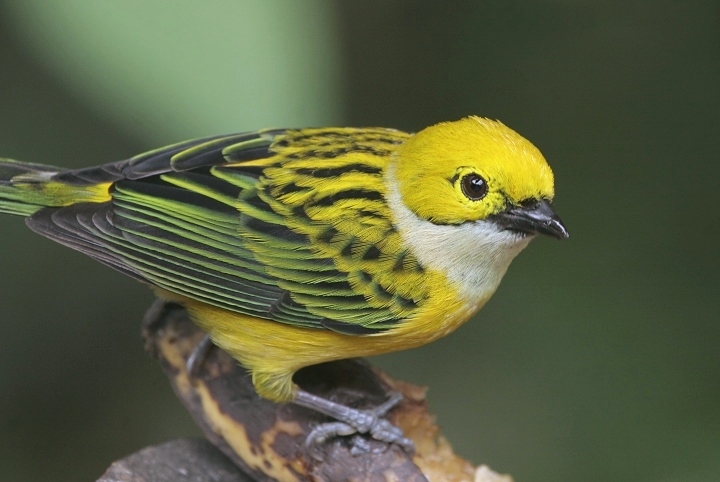 It's found farther south in Central America and has a yellow belly. 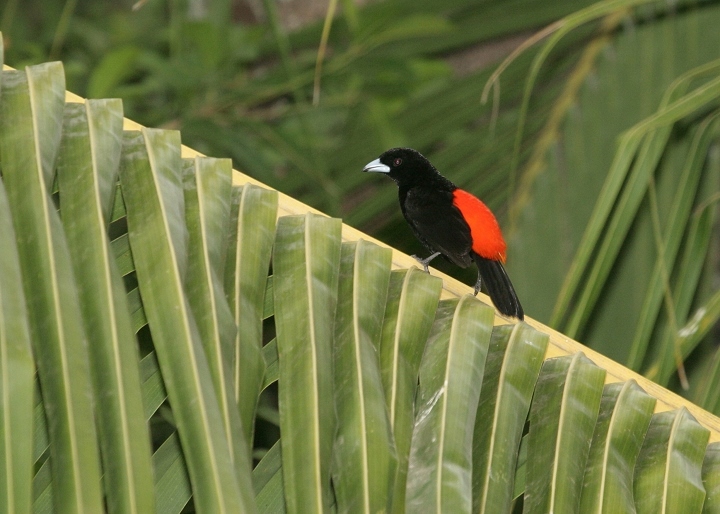 Below: A male Cherrie's Tanager (formerly Scarlet-rumped Tanager) near the town of Jaco. 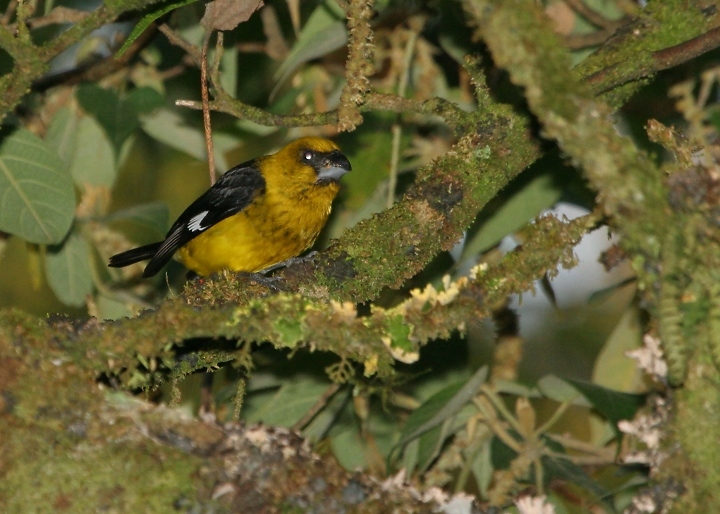 Below: Sooty-capped Bush-Tanagers replaced Common Bush-Tanagers at higher elevations. 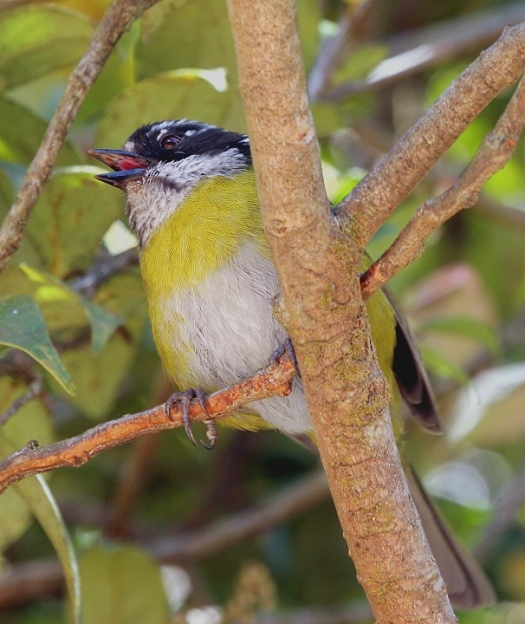 Below: A Black-thighed Grosbeak was a nice find on an early morning ascent to Volcan Poas. 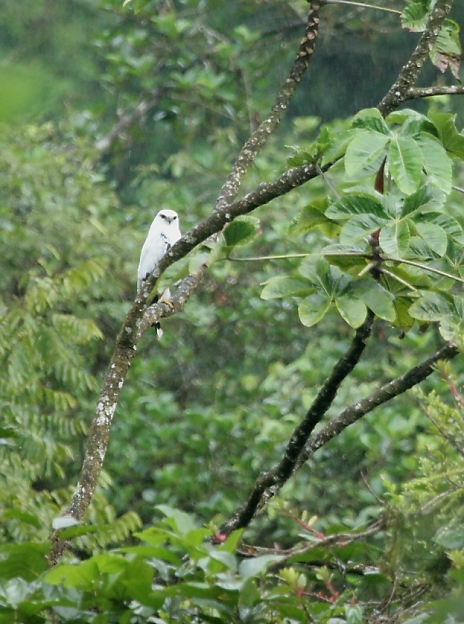 Below: Black-hooded Antshrikes were surprising common and conspicuous at Carara. 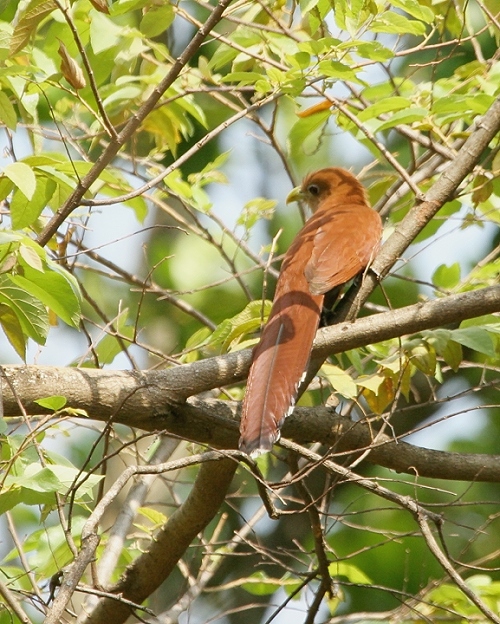 Below: Another shot of the very interesting Squirrel Cuckoo, this one near the town of Atenas. 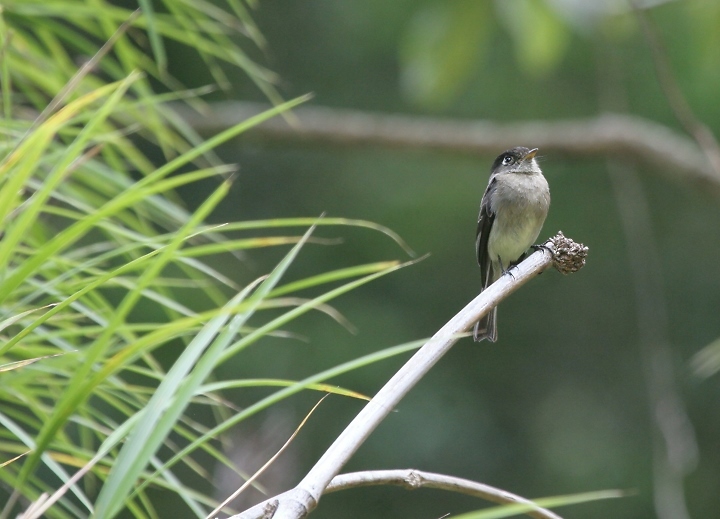 Below: A Black-capped Flycatcher hunts the foothills near Cerro de la Muerte. 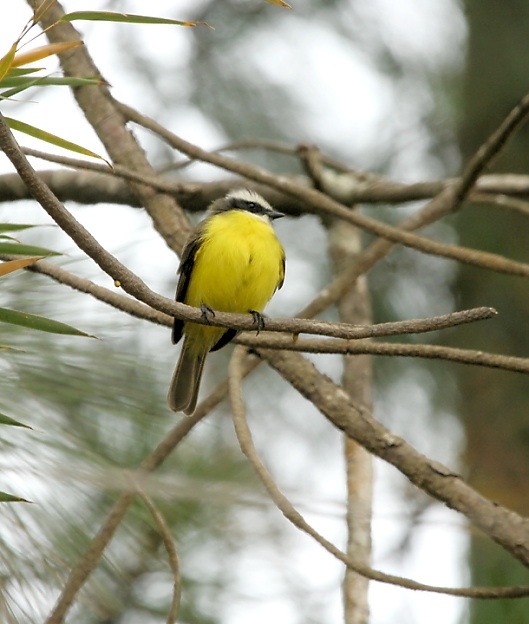 Below: It was great to study Social Flycatchers at so many of our stops throughout our trip. I'm ready next time I visit southern Texas. 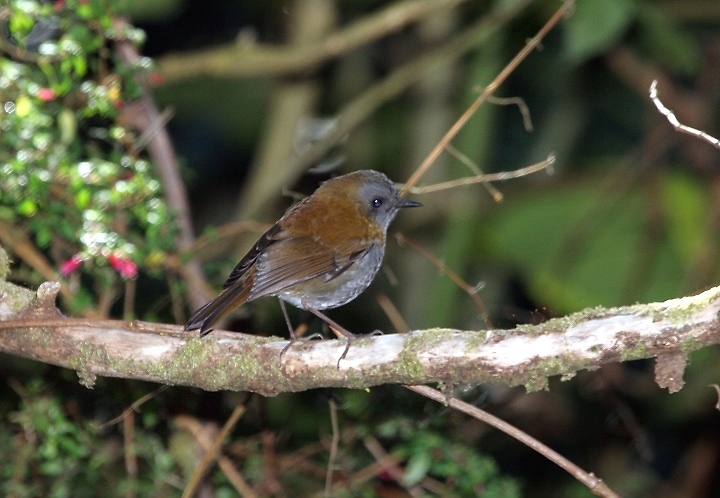 Below: A Black-billed Nightingale-Thrush in the foothills near Cerro de la Muerte. 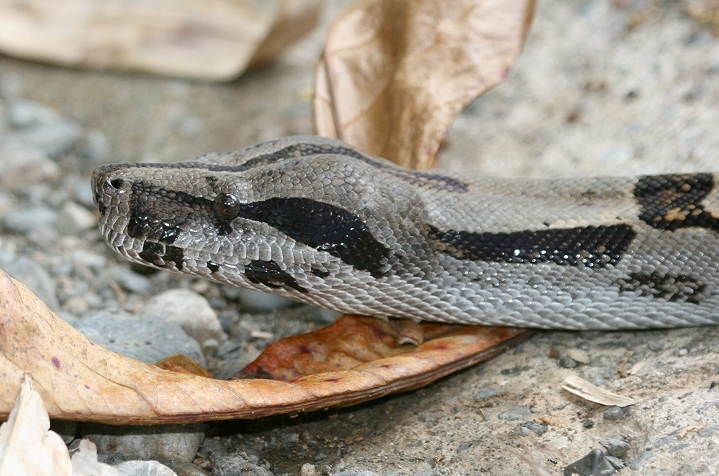 Below: A Boa Constrictor near Carate on the Osa Peninsula. Below: Mountain Elaenias were quite common in most of the high elevation areas we visited. Below: The foreground of this interesting scene was a flock of more than 300 Black-bellied Whistling-Ducks. 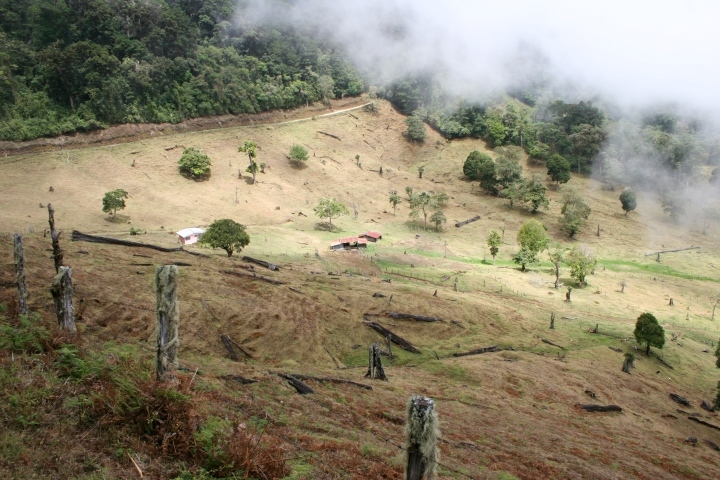 Below: The cloudforest temporarily reclaims a cleared area near Cerro de la Muerte as Blue-and-white Swallows hunt below their roadside nesting cavities.